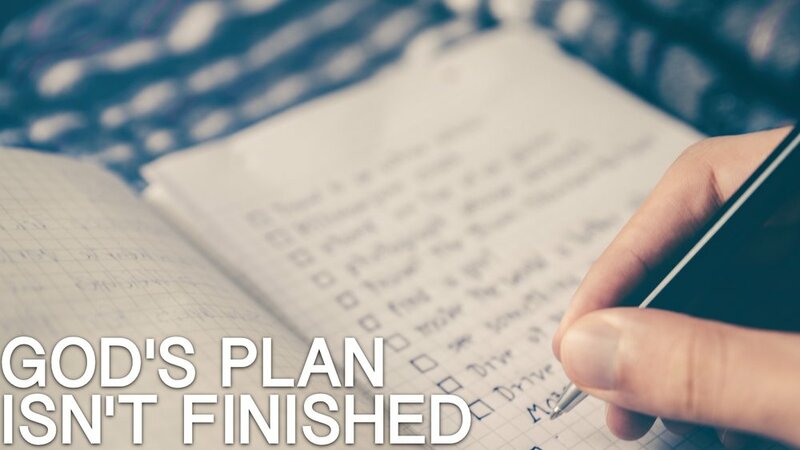 To wrap up this "God's Plan..." section of our Advent preperation, I thought it would be good to take a moment to remind ourselves that God's Plan Isn't Finished. I don't know about you, but I can get discouraged in life. and I wonder if the ligtht at the end of the tunnel really is just a train headed my way. I think we sometimes look at the Christmas story in a bubble. As if it was a stand-alone event and its significance started and ended on that day. Even the cross, our salvation, and Jesus sending His Holy Spirit to empower our lives for today - even these things aren't the end. The Christmas story, God coming in the flesh, is just Part One in His two-part plan. As we're told by Jesus multiple times, and reminded throughout the rest of scripture: He's coming again. It means God's not done. Until Jesus returns, there is still much to do. And, though there are many verses on it, I think it's summed up best in 1 Thessalonians chapter 5. I'll highlight some of the sectinos in bold for you, but generally, I want to leave you with this sectino to read and meditate on what God has for us today as we remember that His plan wasn't finished on Christmas, and it's still active today. May you pursue Jesus and fulfill His plan for you today. "Now concerning the times and the seasons, brothers, you have no need to have anything written to you. For you yourselves are fully aware that the day of the Lord will come like a thief in the night. While people are saying, “There is peace and security,” then sudden destruction will come upon them as labor pains come upon a pregnant woman, and they will not escape. But you are not in darkness, brothers, for that day to surprise you like a thief. So then let us not sleep, as others do, but let us keep awake and be sober. For those who sleep, sleep at night, and those who get drunk, are drunk at night. But since we belong to the day, let us be sober, having put on the breastplate of faith and love, and for a helmet the hope of salvation. For God has not destined us for wrath, but to obtain salvation through our Lord Jesus Christ, who died for us so that whether we are awake or asleep we might live with him. Therefore encourage one another and build one another up, just as you are doing. We ask you, brothers, to respect those who labor among you and are over you in the Lord and admonish you, and to esteem them very highly in love because of their work. Be at peace among yourselves. And we urge you, brothers, admonish the idle, encourage the fainthearted, help the weak, be patient with them all. See that no one repays anyone evil for evil, but always seek to do good to one another and to everyone. Brothers, pray for us. Greet all the brothers with a holy kiss. I put you under oath before the Lord to have this letter read to all the brothers. The grace of our Lord Jesus Christ be with you."